Naturally, most visitors start their holiday in the French capital, Paris. The Eiffel Tower offers spectacular views over the city. Shop at Galeries Lafayette or on the Champs Elysees. Take in the exhibitions at the Louvre and Musee d'Orsay, or experience the delights of the Moulin Rouge. Day trips take guests to the Palace of Versailles and Disneyland. South of Paris lies the Loire Valley, known as the 'Garden of France' for its abundance of vineyards and fruit orchards. The imposing chateaux spread across the valley are cultural monuments to the ideals of the Renaissance period. 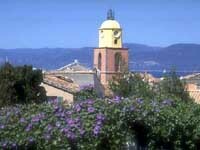 Less well known but equally stunning is Provence. Tourists can stroll through the markets of Aix-en-Provence, visit the Pope's Palace in Avignon, buy fresh seafood in Marseille, and visit the rural wetlands of the Camargue, home to the fabled white horses. There are ancient gems in every direction. The coast of Normandy hosts the magical island of Mont-Saint-Michel, topped by a medieval monastery. To the south lies the historic fortified city of Carcassonne. The Alps are a playground for skiing in the winter, and hiking or cycling in the summer. The Pyrenees offer a view of the wilder side of France. Take a cable car ride to the summit of Pic du Midi, or experience the famous pilgrimage to Lourdes. The ultimate jet-set lifestyle awaits on the Cote d'Azur; 71 miles (115km) of Mediterranean coastline and beaches, 18 golf courses, 14 ski resorts, 3000 restaurants and an abundance of sunny weather. Visit in May to catch a glimpse of Hollywood's finest at the Cannes Film Festival.